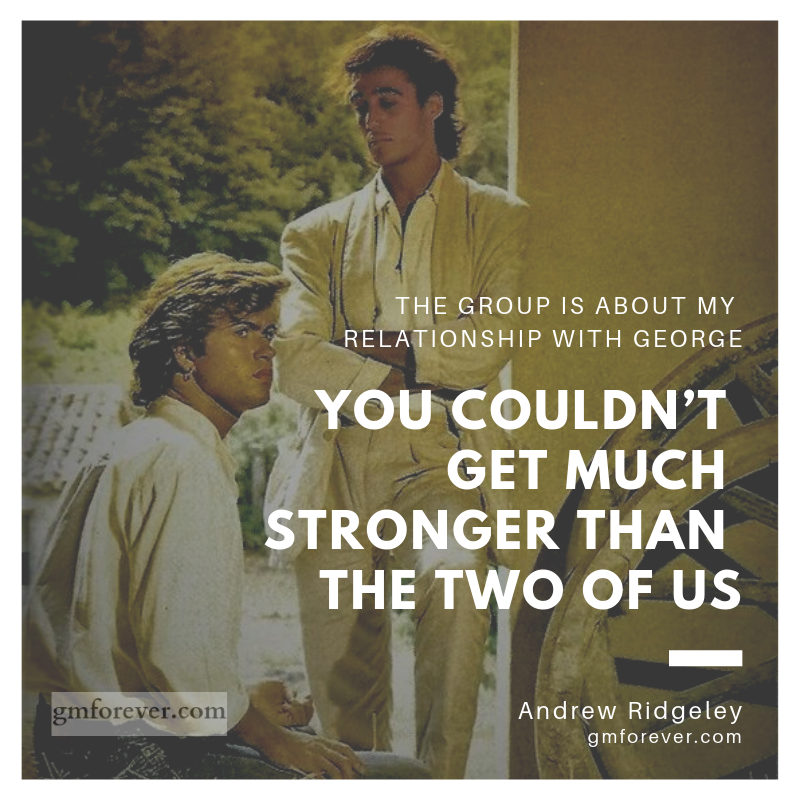 The group is about my relationship with George,’ says Andrew Ridgeley. 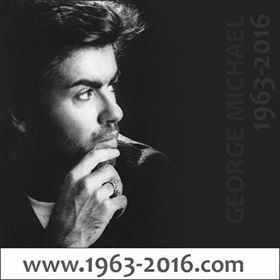 ‘You couldn’t get much stronger than the two of us,” says George Michael. 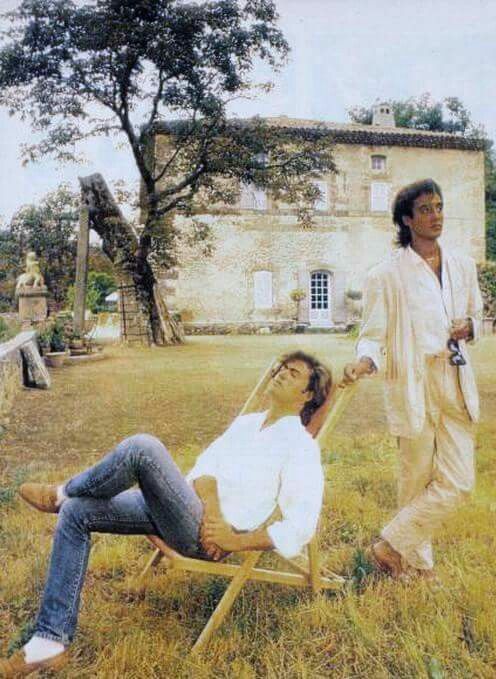 Together they are Wham!, the most successful, sexual duo in pop. ‘No fans, just flies. Wish we were home,’ should be the message on the holiday postcards. 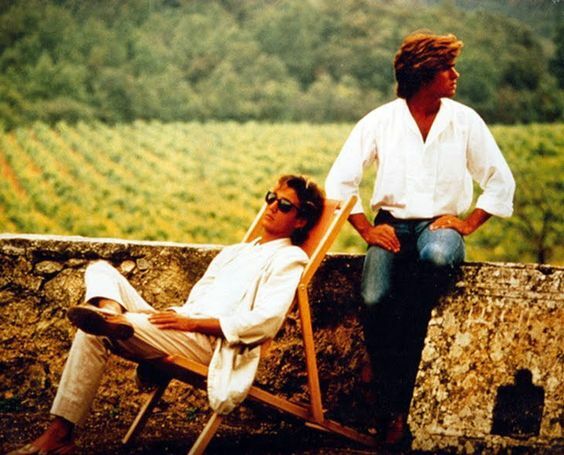 But the two tanned young men sitting in Jacques Loussier’s recording studio in Provence are too preoccupied to write cards or notice the ubiquitous flies, the crumpled sleeping bags, the litter of empty wine glasses and ashtrays and the rain falling outside double-glazed windows on to ‘Cézanne Country’ (as it says on the local roadsigns). 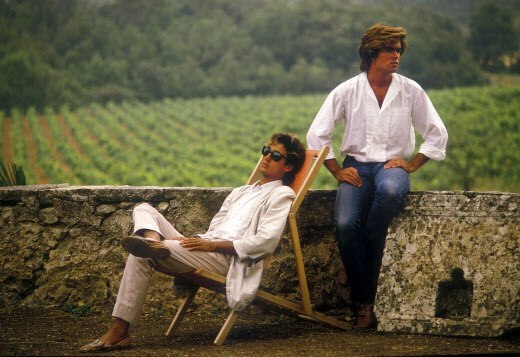 At 20 and 21, George Michael and Andrew Ridgeley, collectively known as Wham!, are one of the hottest acts in pop music and virtual millionaires on the strength of hits like ‘Club Tropicana’ and ‘Wake Me Up Before You Go-Go’. They’ve been in France for six weeks recording their second album and they’d be recording now except the control desk has developed a fault. So they yawn and bicker like an old married couple. 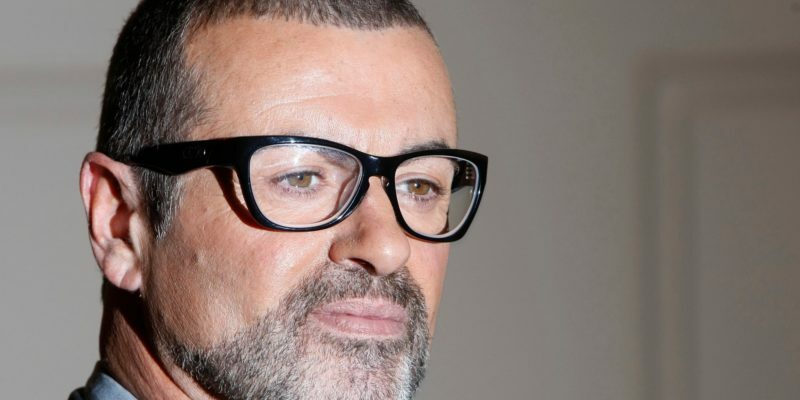 ‘It’s a clinical desk – not a very warm sound,’ says George. ‘It’s as warm as you make it,’ says Andrew. ‘Rubbish! It’s the desk. It’s a very clean-sounding desk,’ says George. They seem to have known exactly what they were doing from the start. In school, they played together in a ska band. It made them sixth-form heroes, Andrew says, but was just like The Comic Strip’s satire on rock groups. ‘Every time we rehearsed there were ludicrous arguments. People used to come to blows.’ In 1979 Saturday Night Fever hit Britain in a big way. 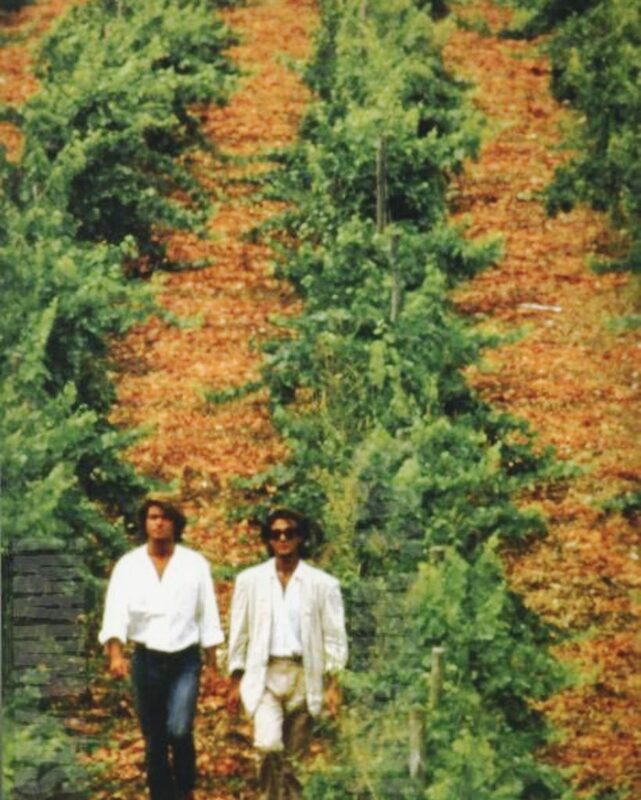 For sharp suburbanites like George and Andrew, the film was a revelation. ‘In our age group it was huge. 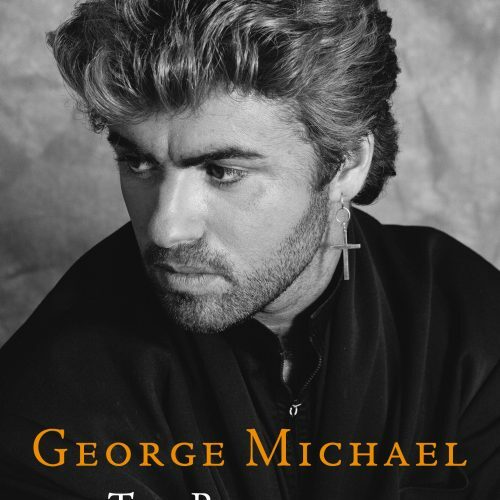 Clubs sprang up like wildfire, full of disco music.’ As disco waned and jazz-funk replaced it, George and Andrew withdrew to that traditional setting for aspiring pop stars, their bedrooms at home, where they started writing songs and later formed The Executive. 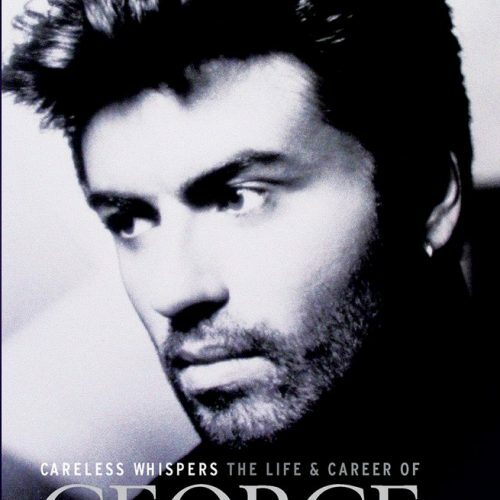 Says George: ‘What people don’t understand is we knew what we did was good. We knew we had material that would sell records, but we thought there were thousands of people out there in the same situation. In fact, there are people who have a sound and a talent which can take years to be discovered, but there’s a real shortage of songs. 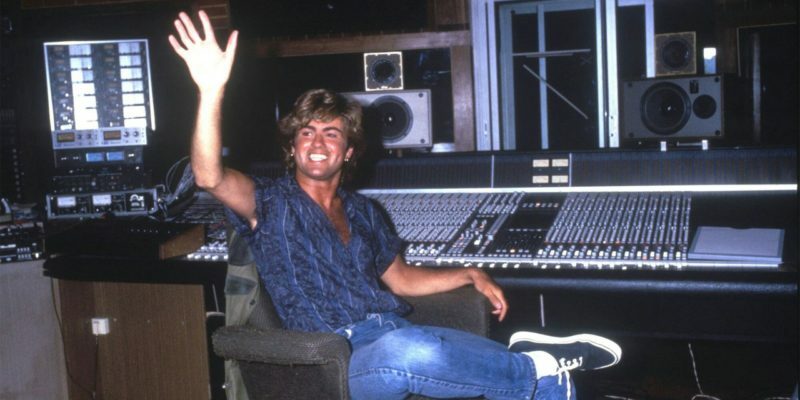 Those get picked up very quickly.’ So it proved for Wham! 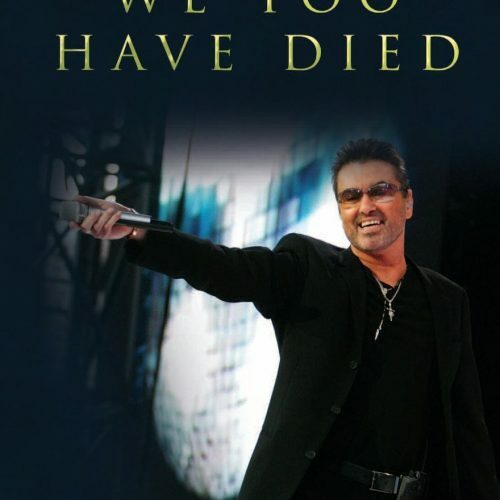 (they took the name quite casually from the song they wrote, ‘Wham Rap!’). 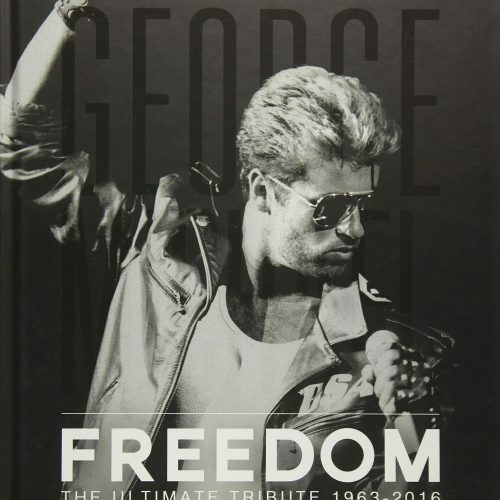 Songwriting is the key to their success, and very commercial songwriting it is – ‘a couple of white soul boys,’ as George describes them, turning out catchy, infectious versions of black American disco and funk, just as the Beatles and the Stones built on Elvis, Chuck Berry and rhythm ‘n’ blues. Andrew also plays his part when Wham! aren’t working but having fun instead. When Elton John invited them to a barbeque they enjoyed themselves so liberally they had to sleep over at Elton’s house to recover. They were in no condition to go to Elton’s lunch the next day with Joan Collins, but they probably wouldn’t have been welcome anyway because ‘we do remember reeling along the quay shouting obscenities at her yacht’. Some Wham! party stories are exaggerated. There was an incident involving a flung ice bucket which either didn’t really happen or, if it did, was a smokescreen, an attempt to divert publicity from Andrew’s nose. 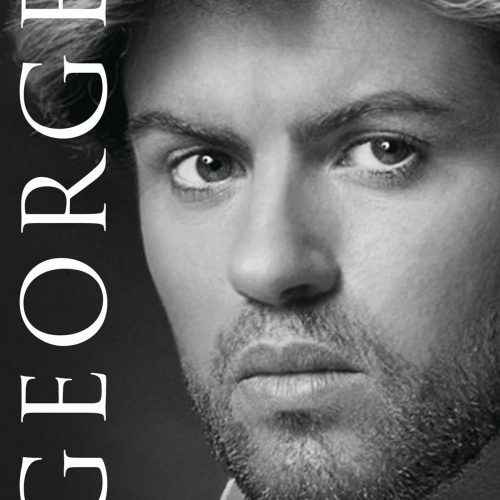 Andrew had plastic surgery on his nose recently and, like everything about Wham! the nose became hot news. A newspaper photographer took part in a car chase between the recording studio and the beach, in pursuit of the new nose. ‘I do iron it,’ says Andrew.